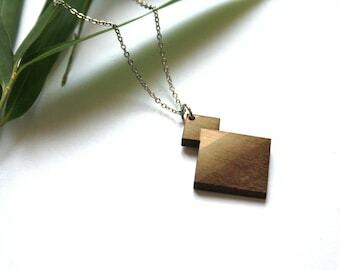 Wooden necklace with cube shape geometric pendant. ▲▲▲ This cube shape jewel is laser cut and then assembled by hand. Design and manufacture are made in France, Paris (french jewelry). 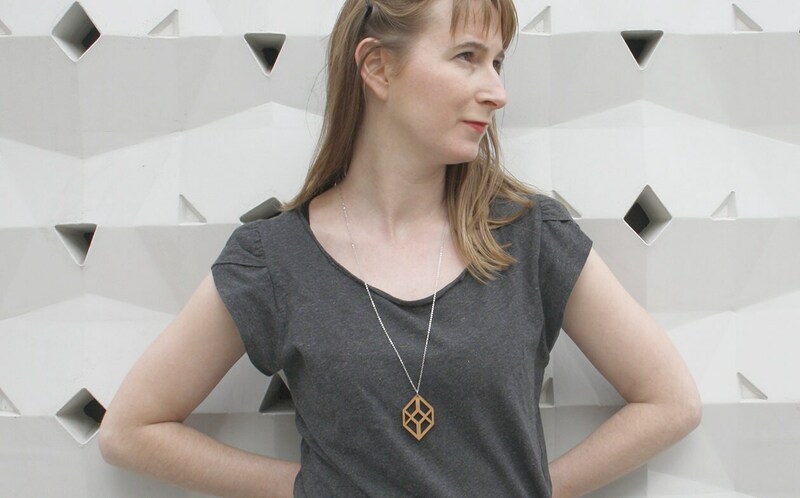 ▲▲▲ Classy necklace, opt art inspiration. Modern and minimalist style. 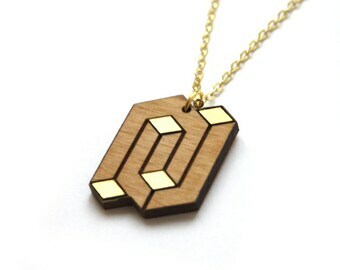 ▲▲▲ Wood type: alder (natural wood). 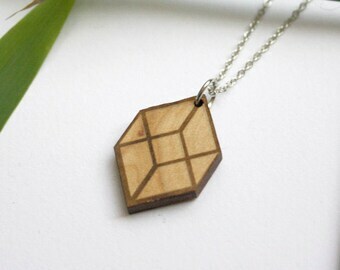 Wood cube shape size: 4,8 cm x 3,8 cm each side = 1,88 inches x 1,49 inches (around). Wood thickness: 3 mm = 0,11 inches. Metal chain, silver color, 70 cm = 27,59 inches (around). Wood is a natural element that can have some variations (color, texture, wood ribs) who give a unique and original side to this product. Ready to make an original present! ▲▲▲ Similar products are available in my shop.